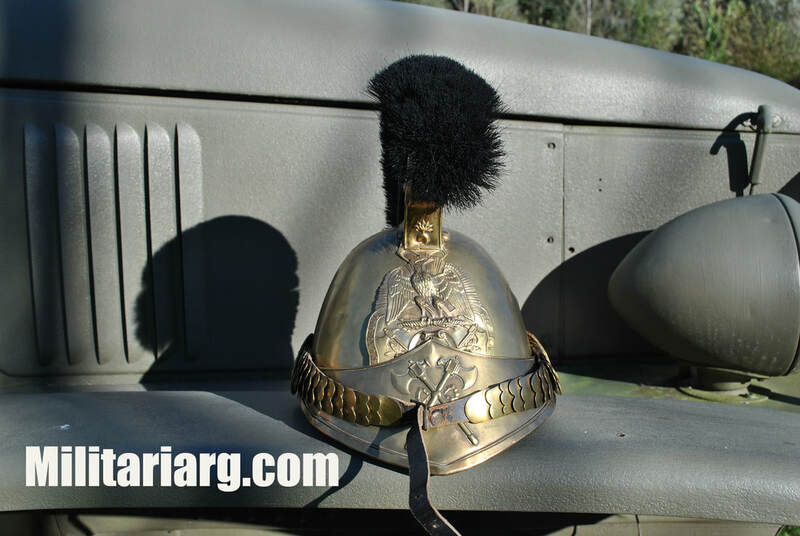 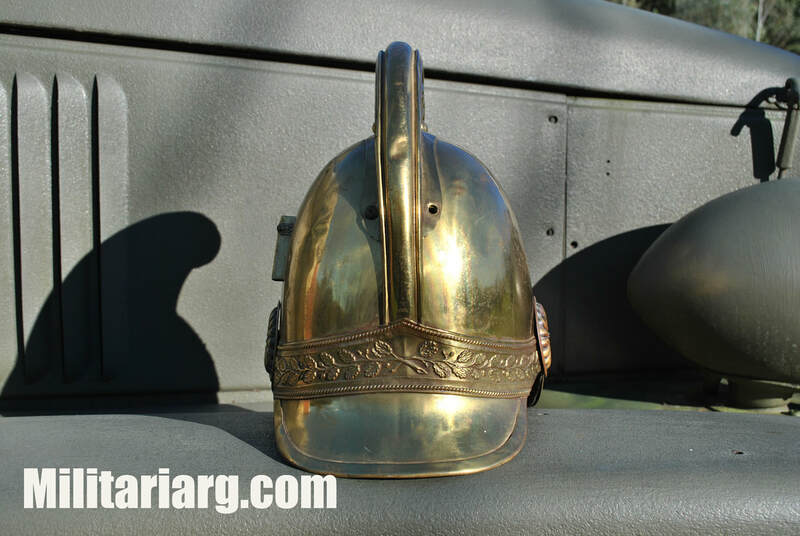 Campagnard 1840 helmet and jacket model 1880. 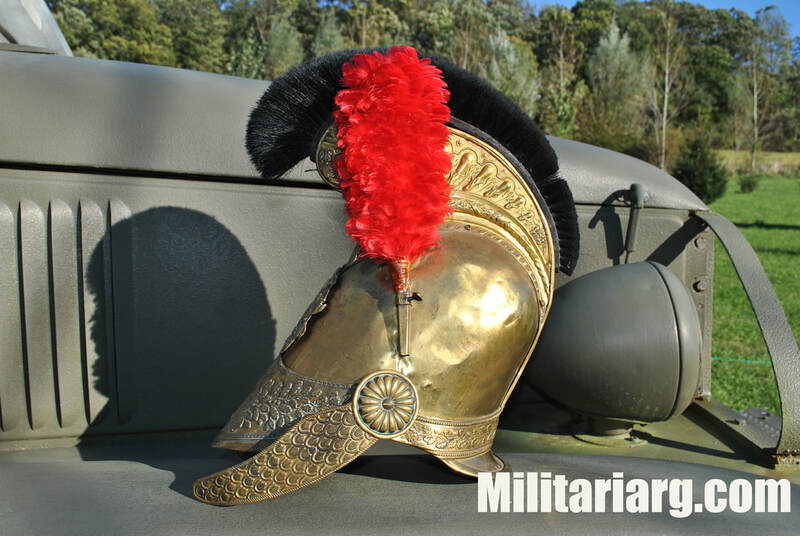 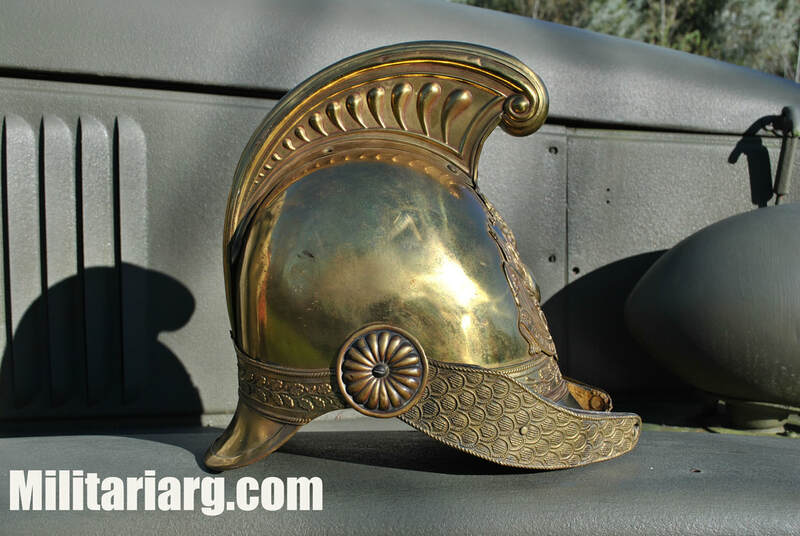 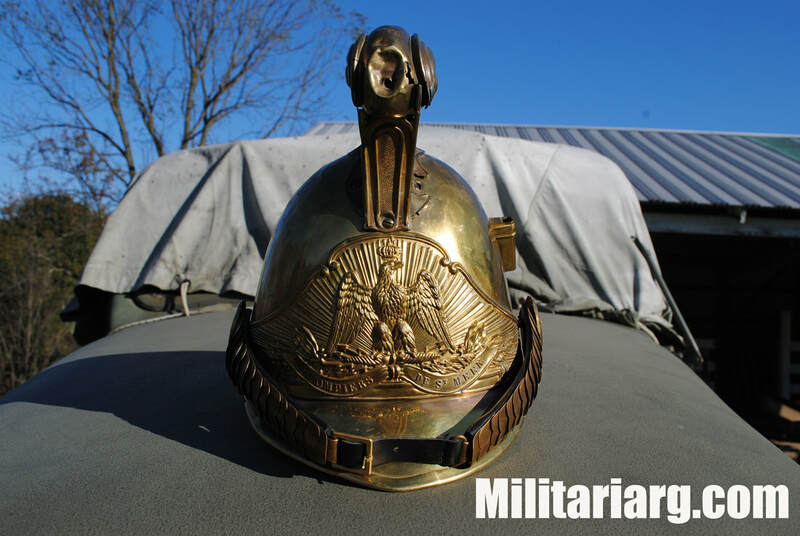 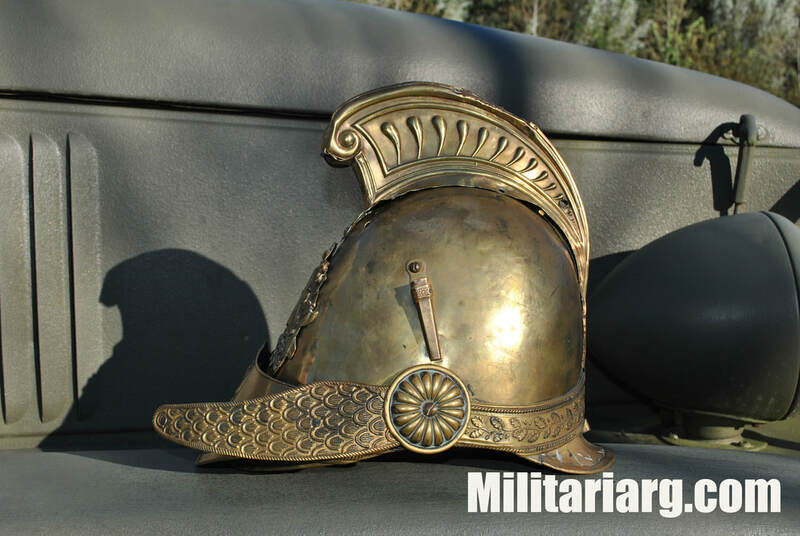 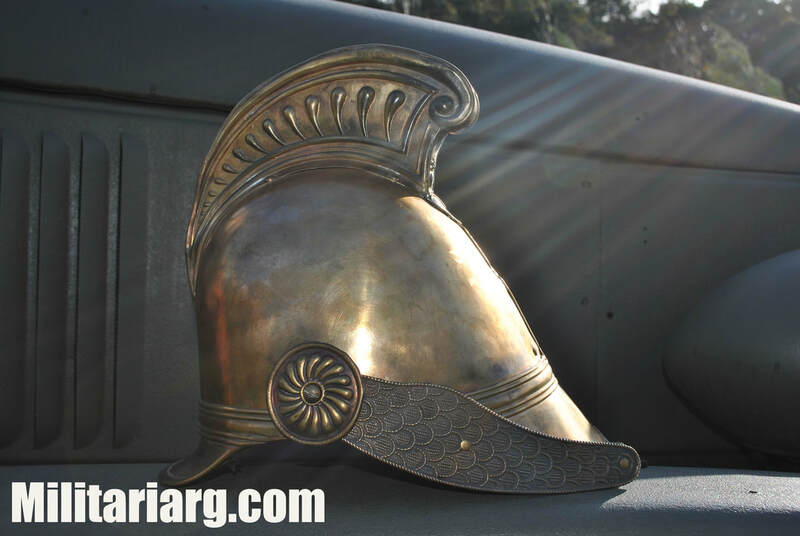 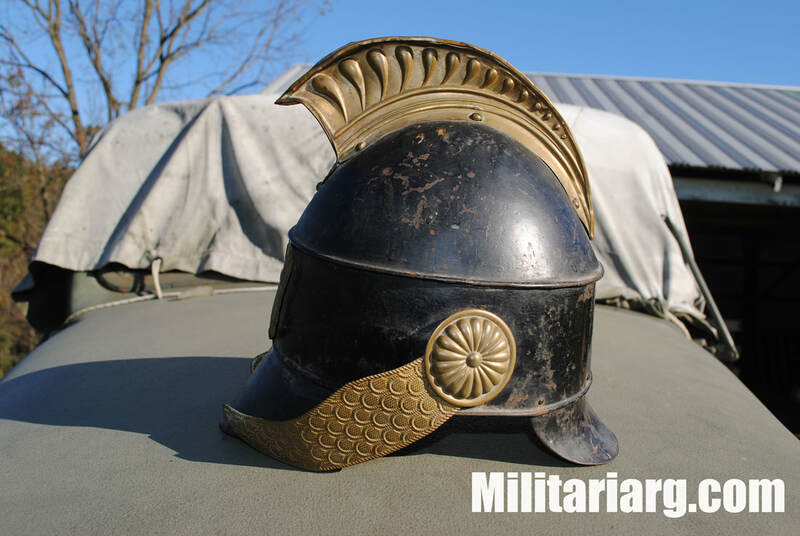 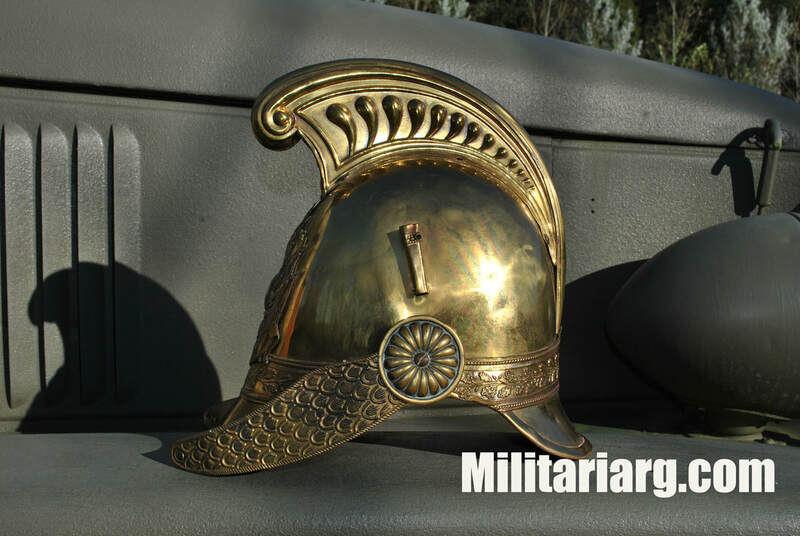 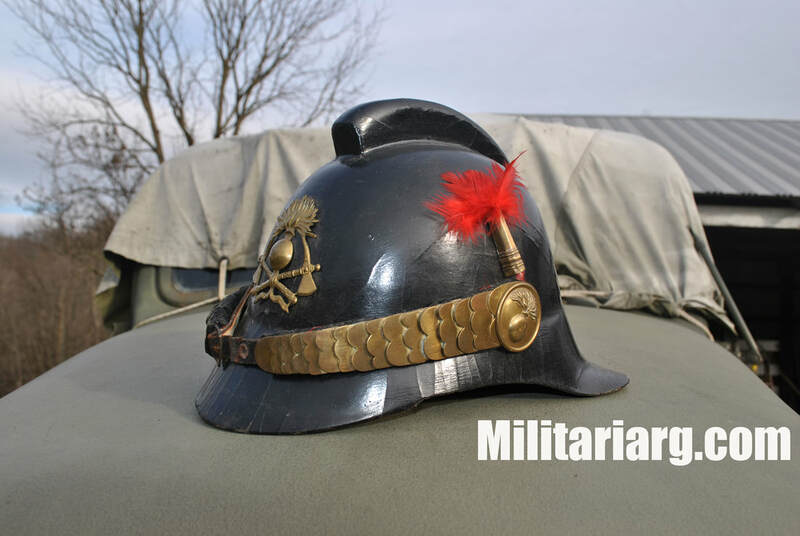 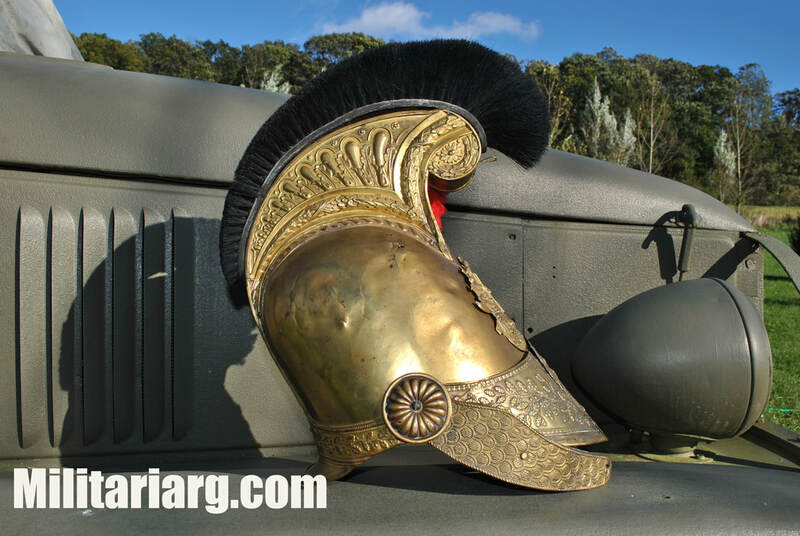 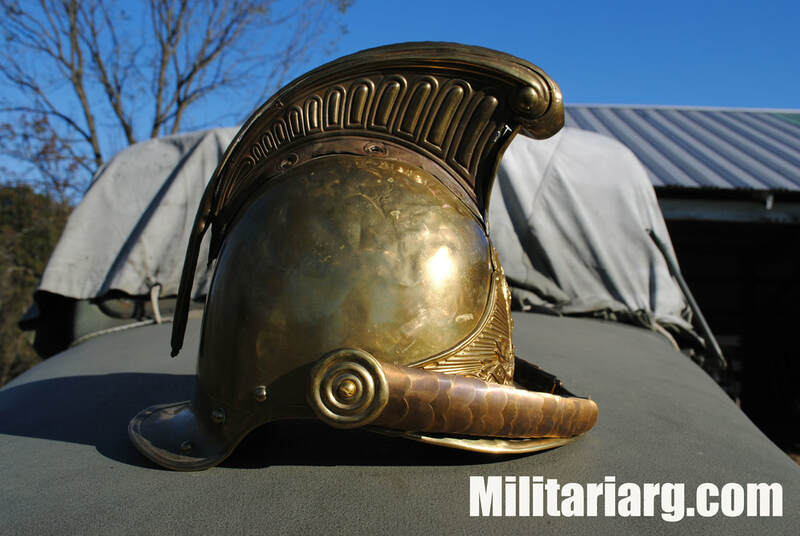 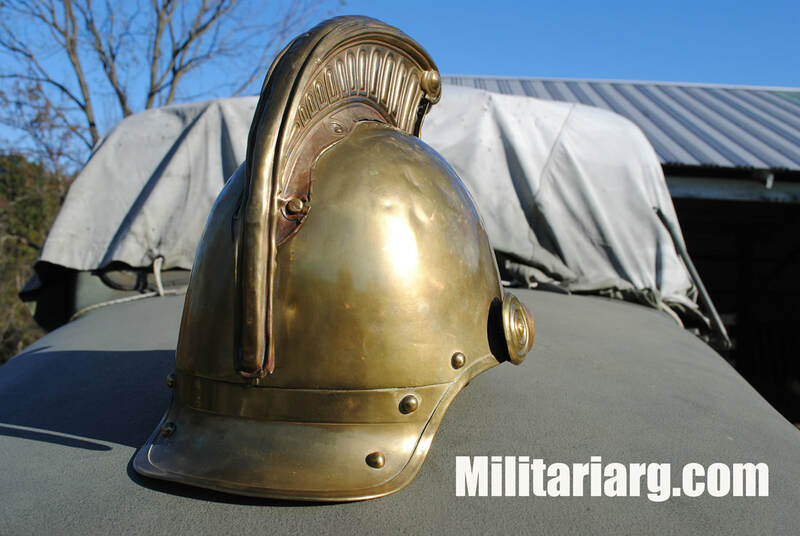 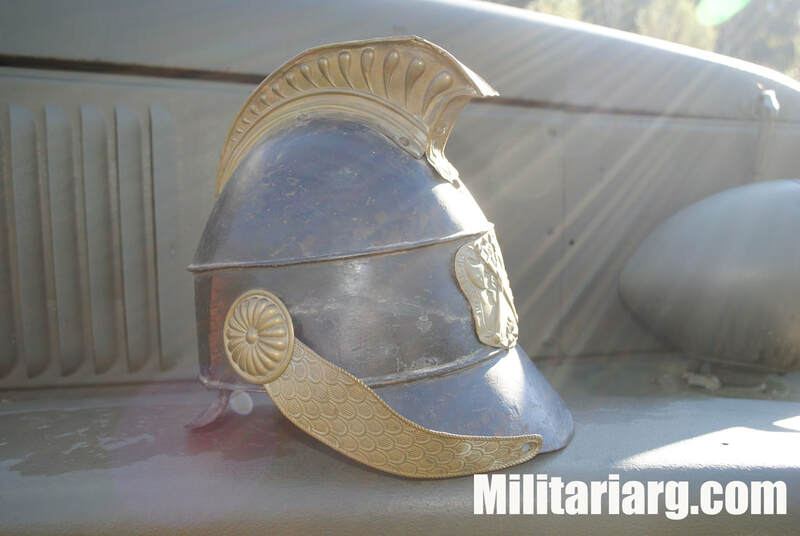 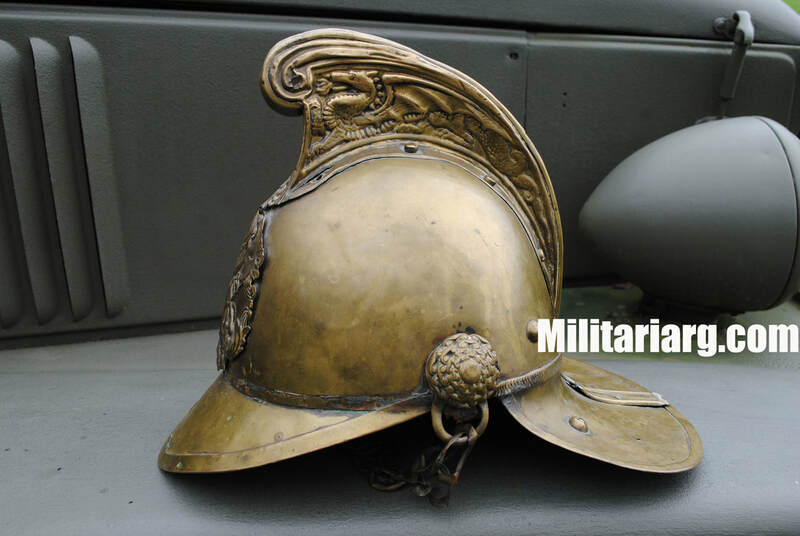 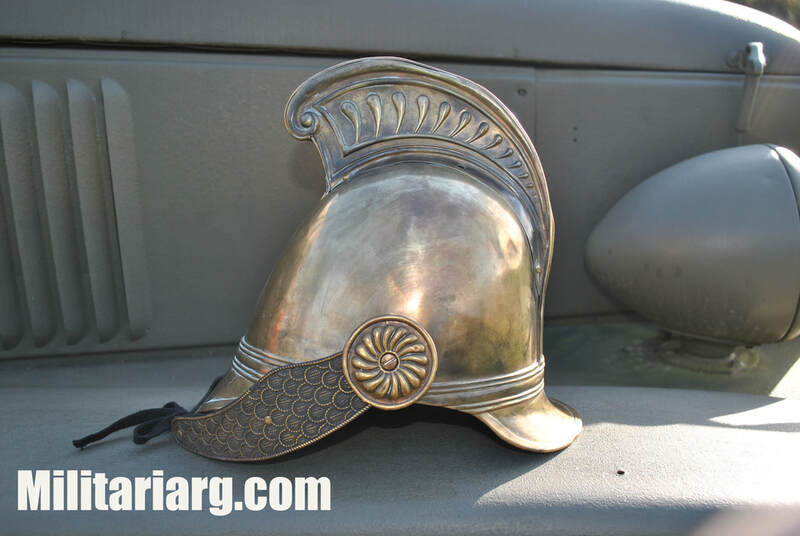 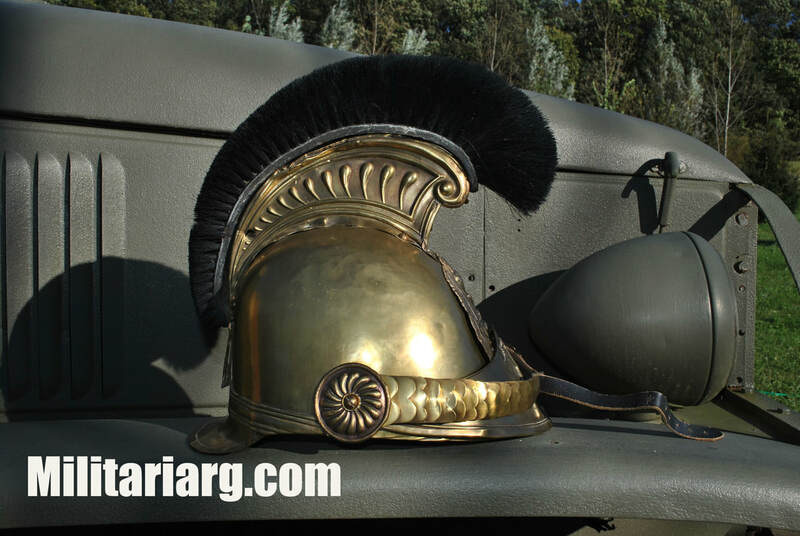 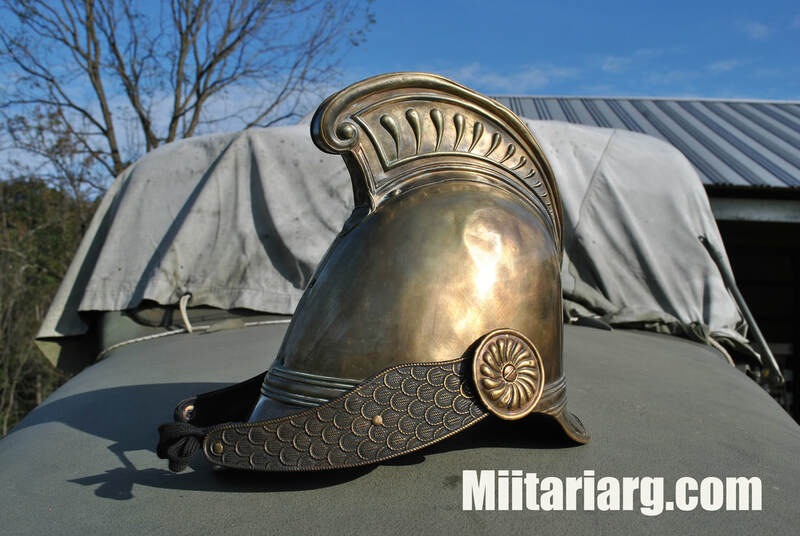 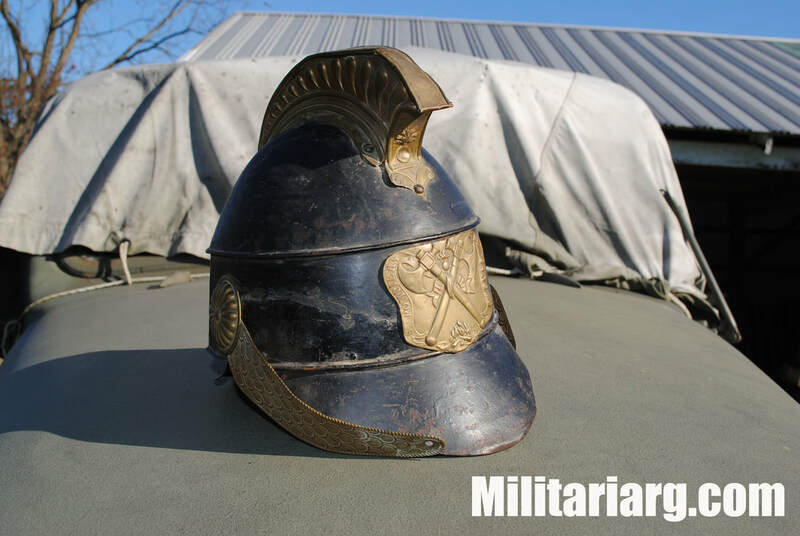 French helmet 1816 -1821 "Minerva style", modified 1830. 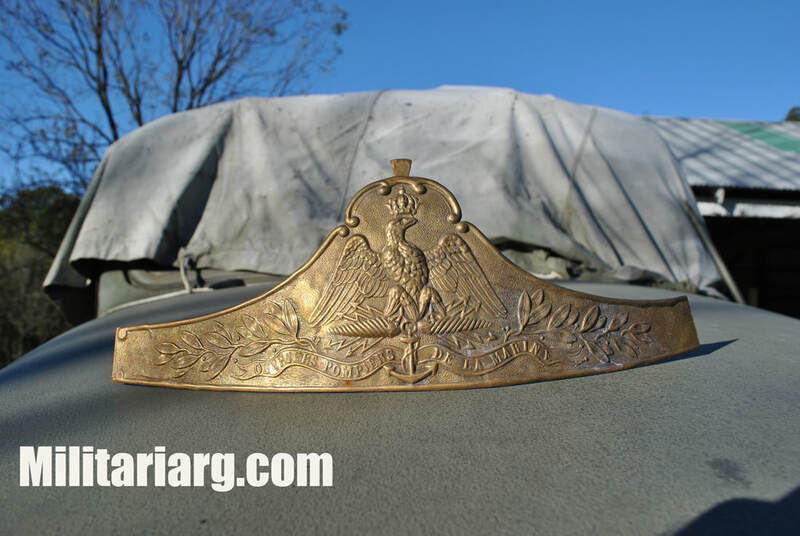 Bourbon Restoration - July Monarchy. 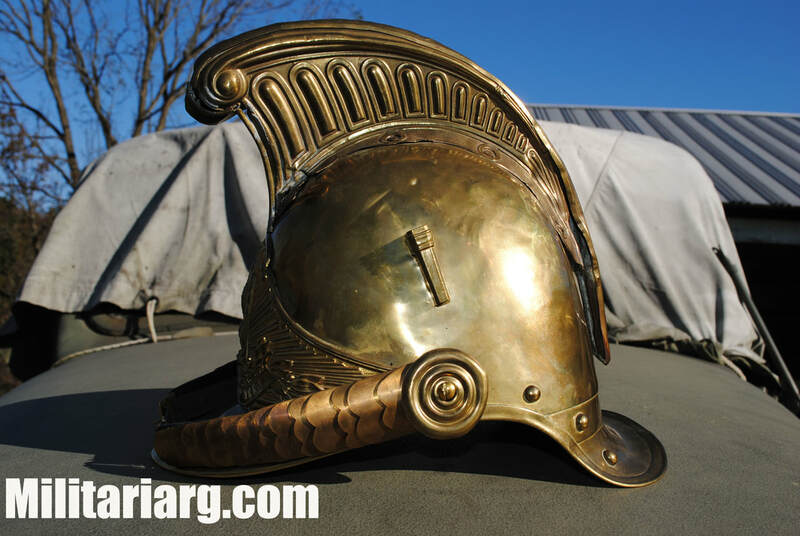 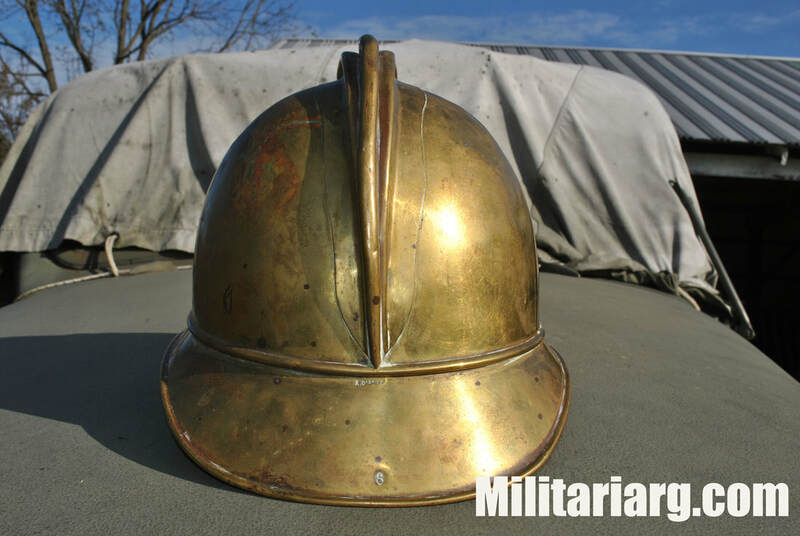 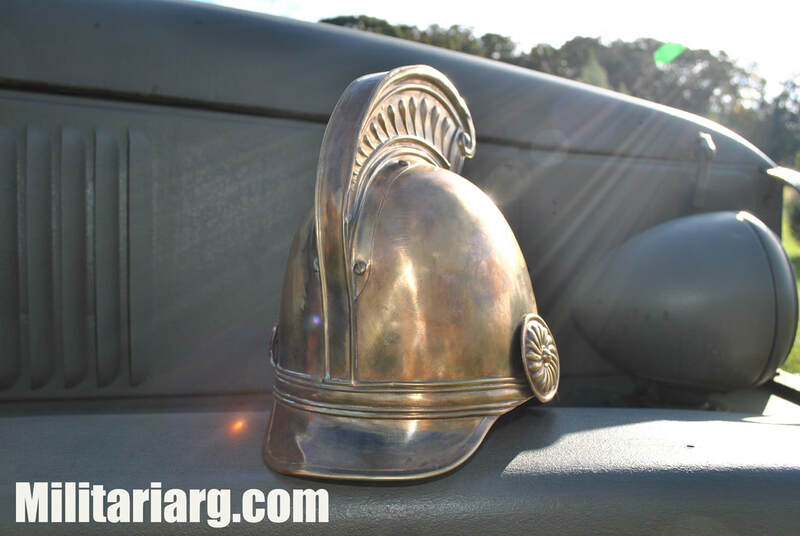 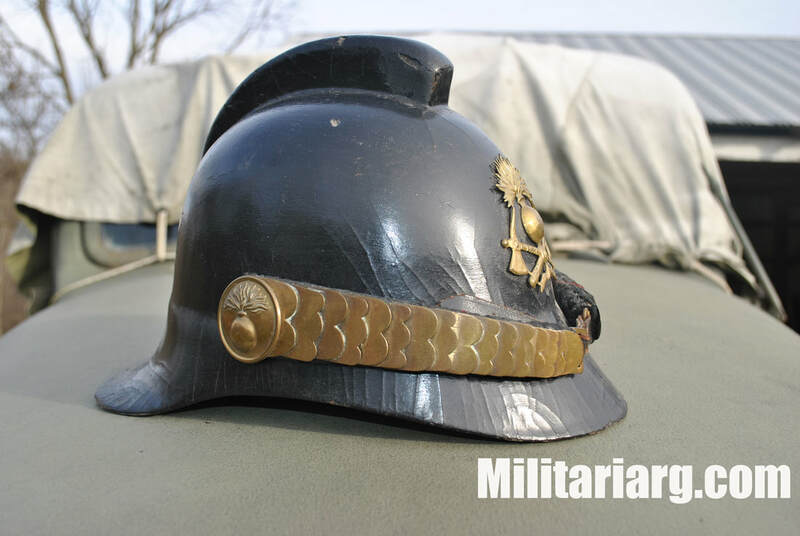 Victorian Era British helmet (1850 - 1870) made by Merryweather & Sons - London Fire Brigade. 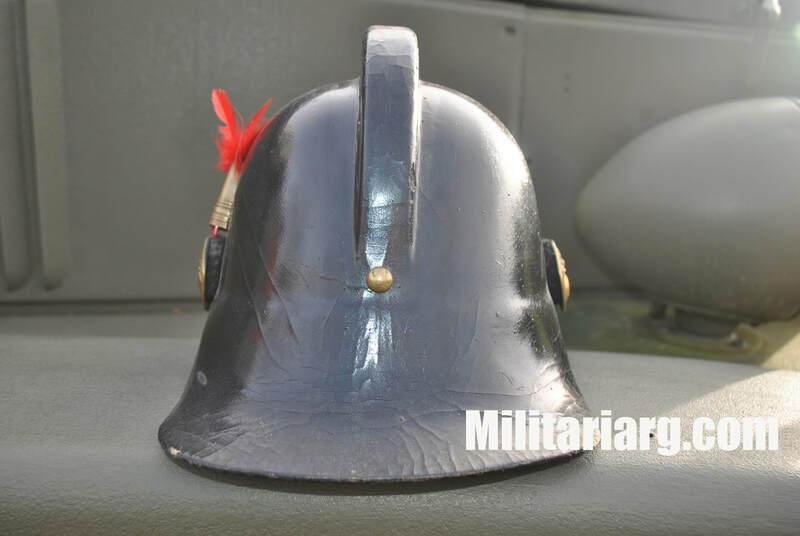 French helmet model 1825 - 1830 (July Monarchy - Louis Philippe). 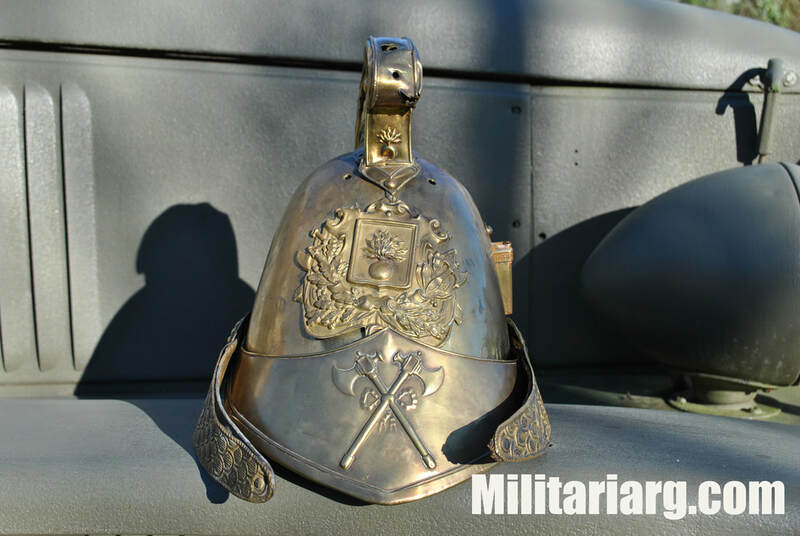 Comune de Caromb - (Provence-Alpes-Côte d'Azur region in southeastern France). 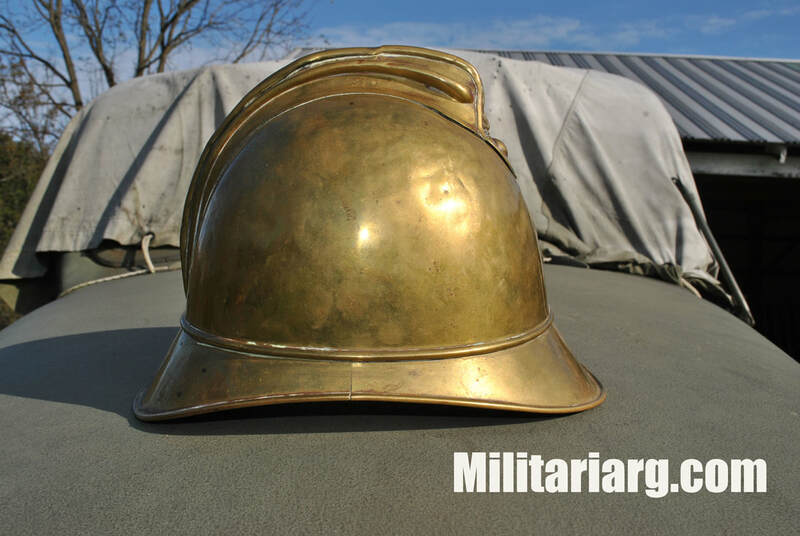 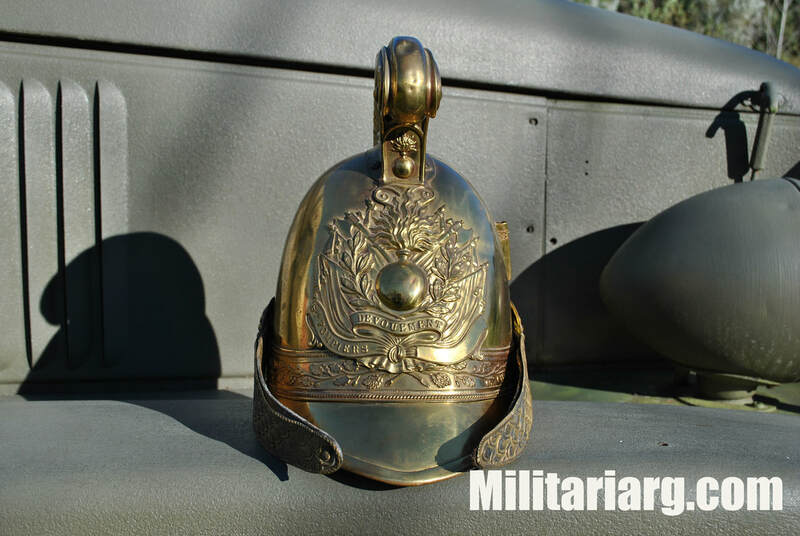 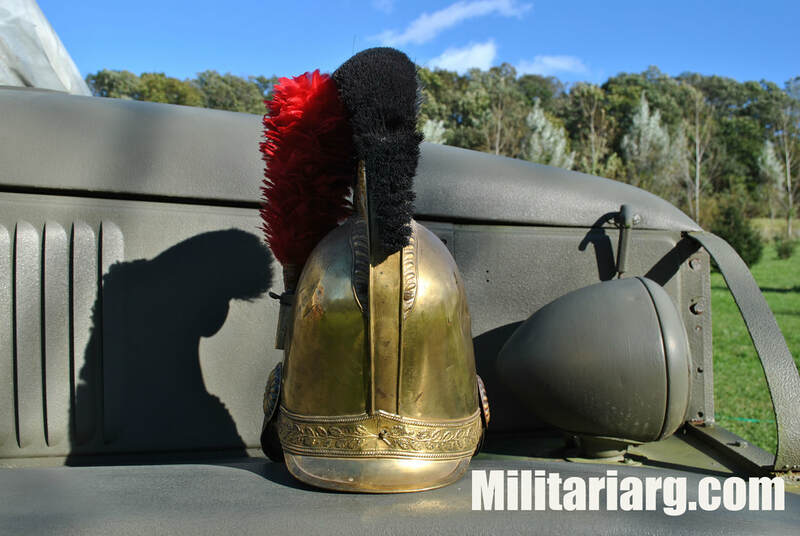 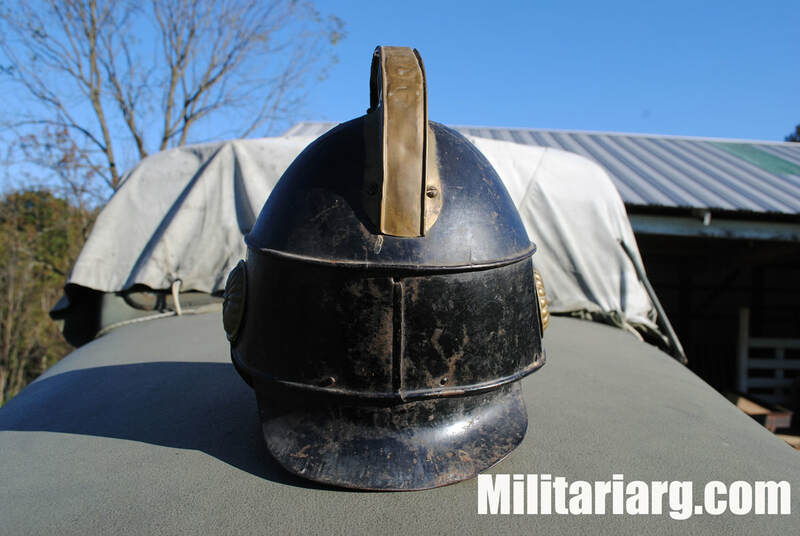 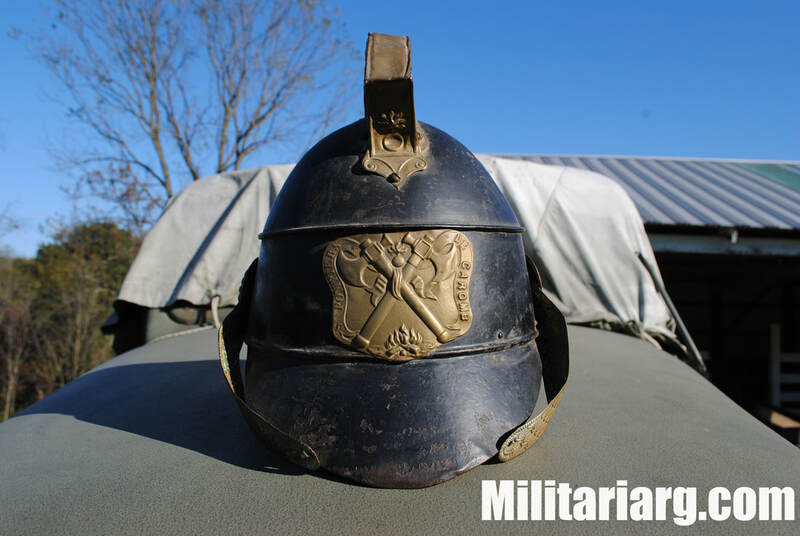 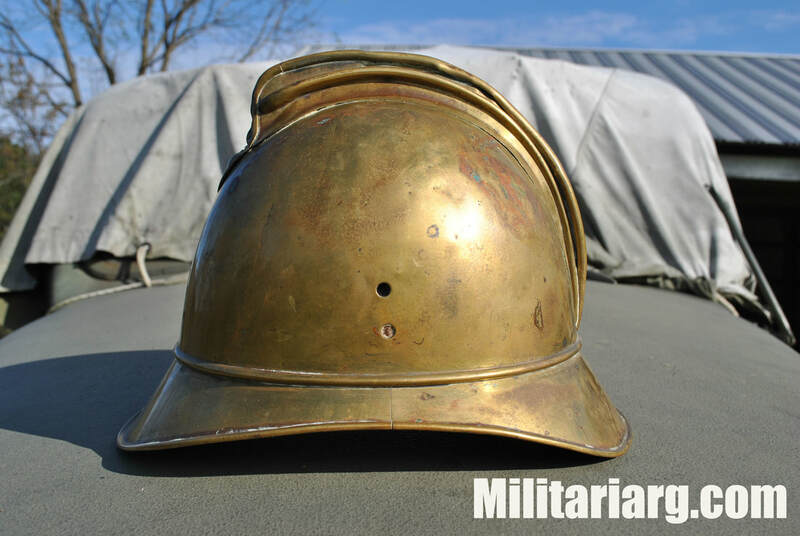 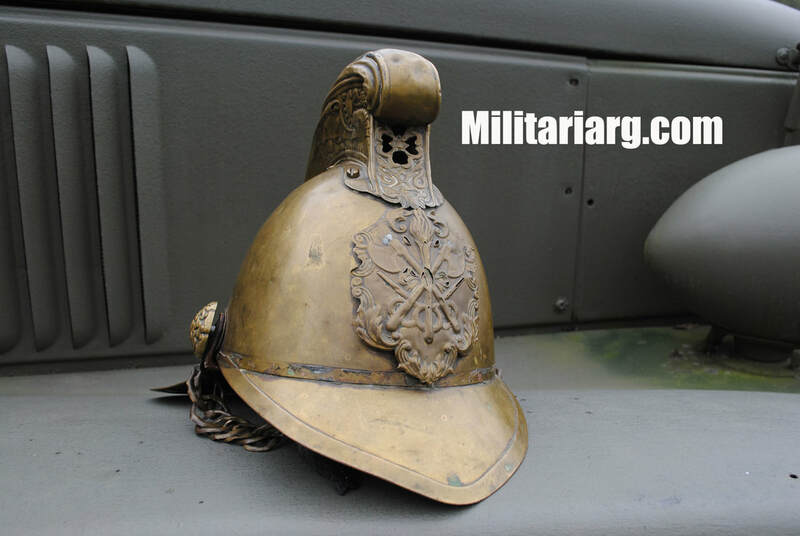 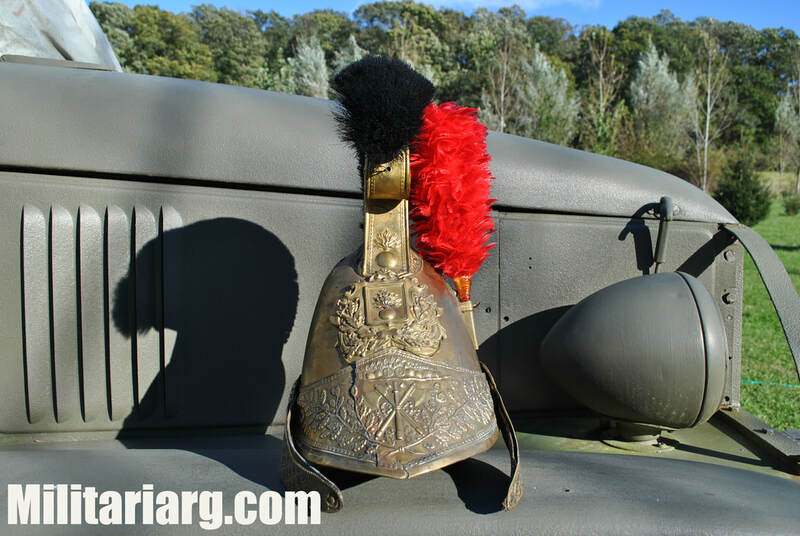 French helmet 1840 model "Campagnard" with crest model 1855. 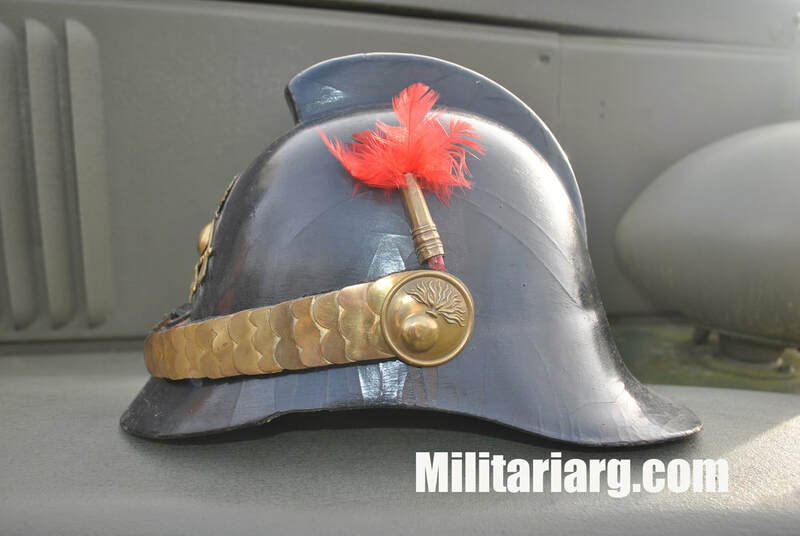 French Helmet 1850 - 1860. 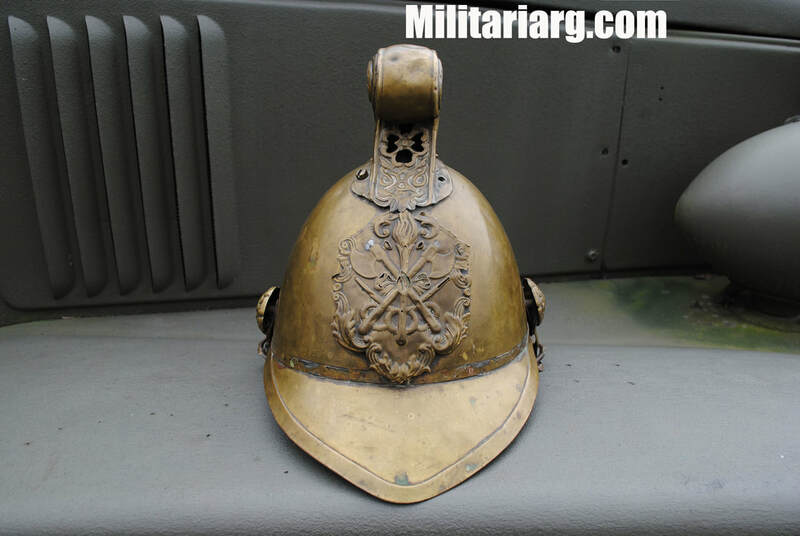 French helmet model 1855. 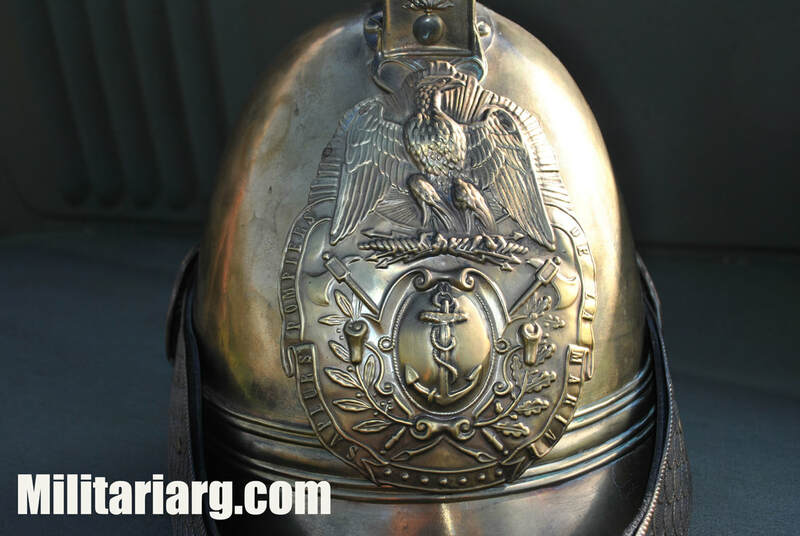 Second Empire - Napoleon III. 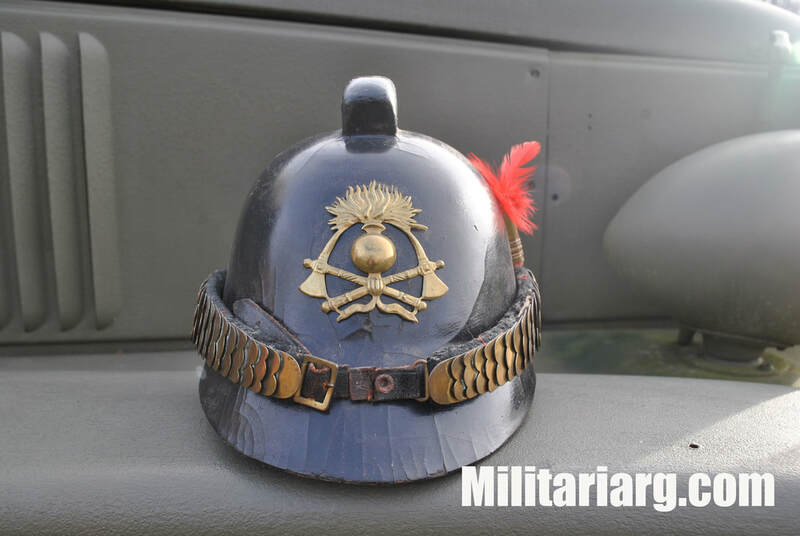 "Comune St Meen"
Navy badge for French helmet model 1855. 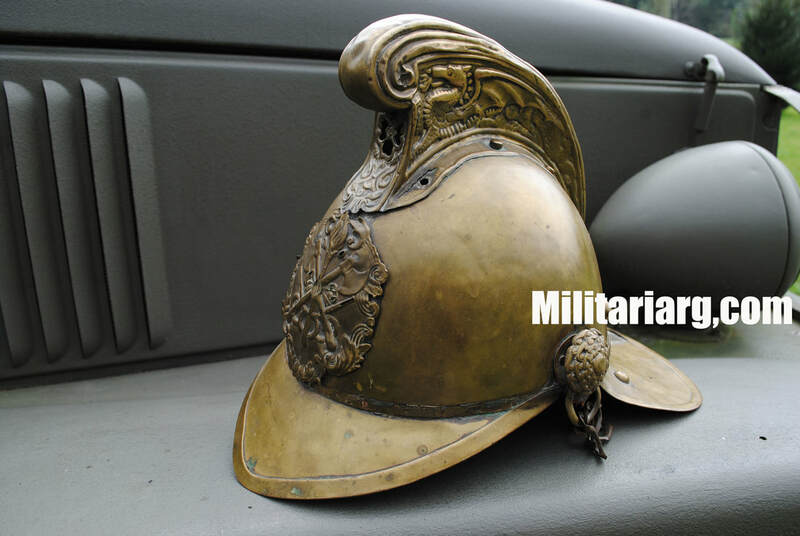 Second Empire - Napoleon III. 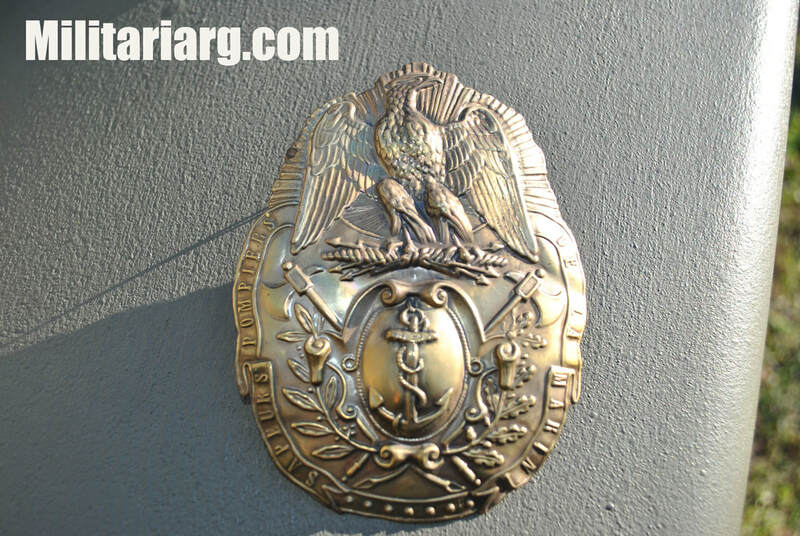 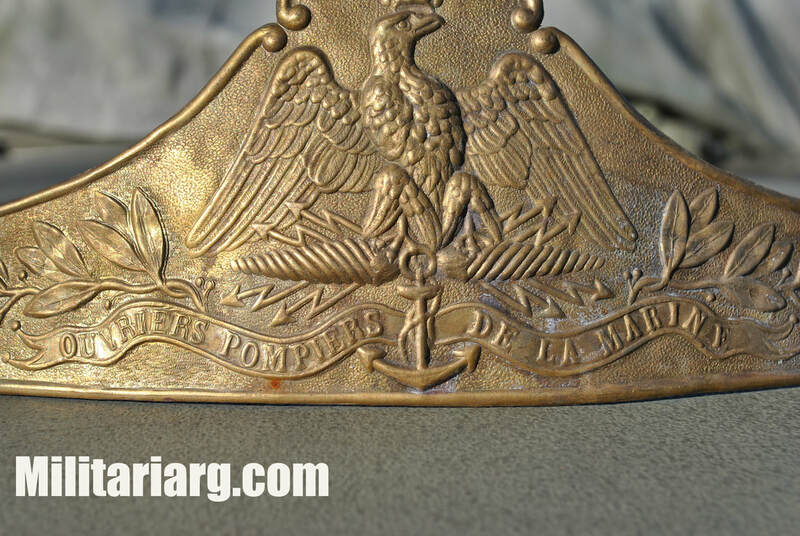 Naval badge for French helmet. 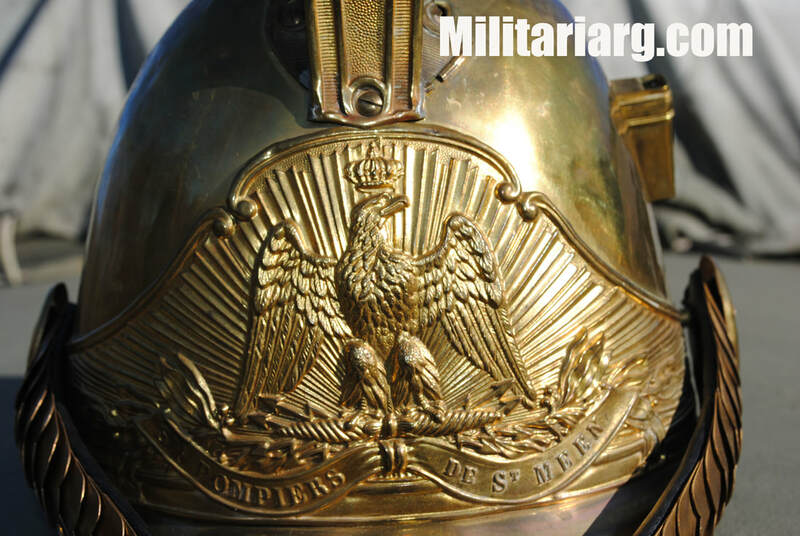 Second Empire - Napoleon III. 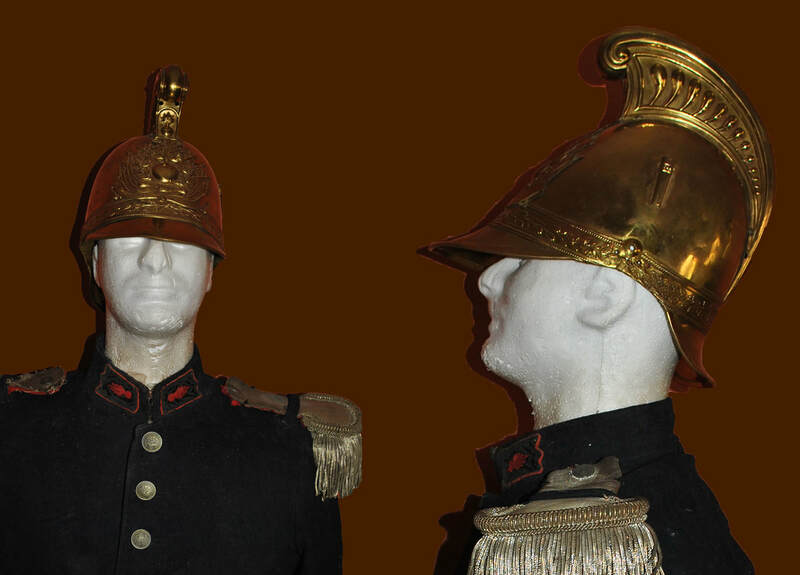 French helmet model 1850 - 1860 "Façon Paris". 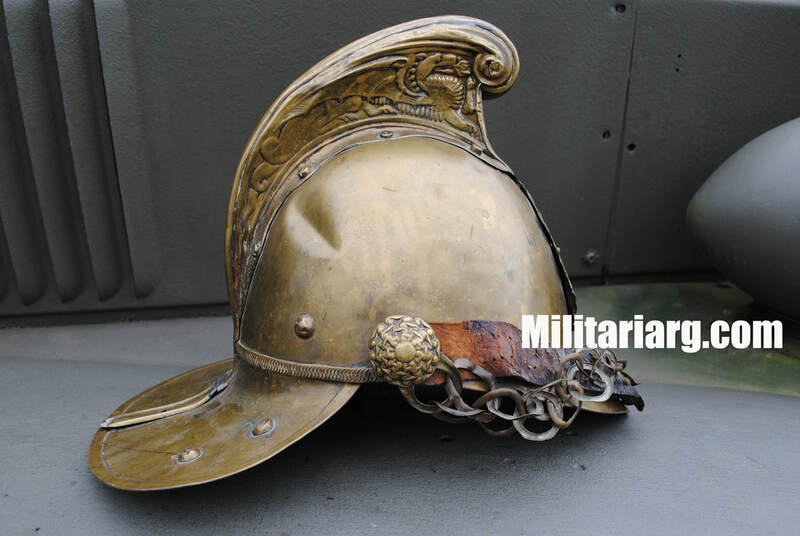 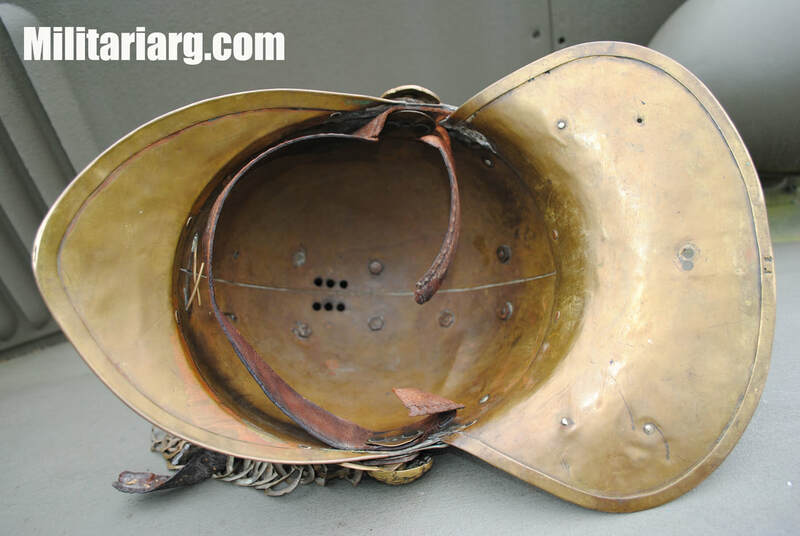 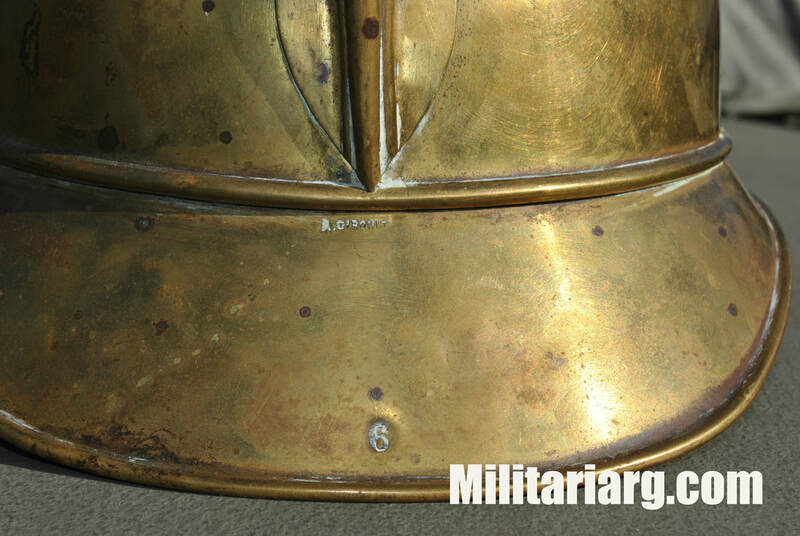 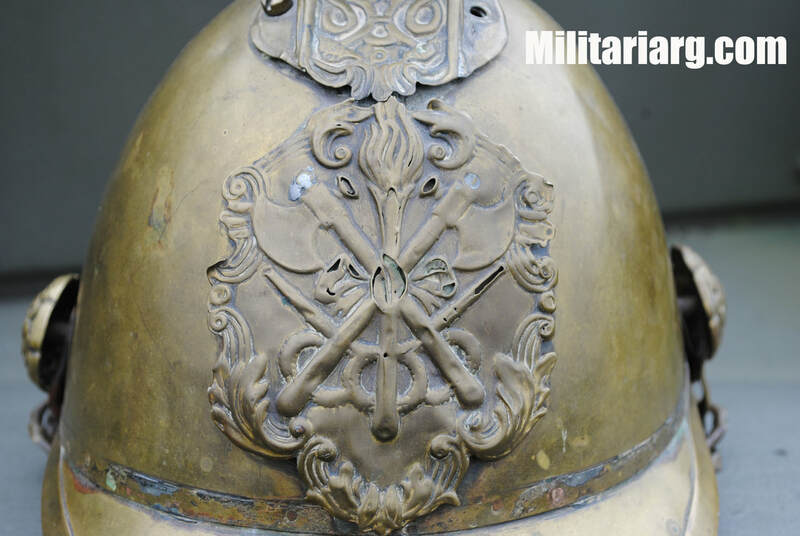 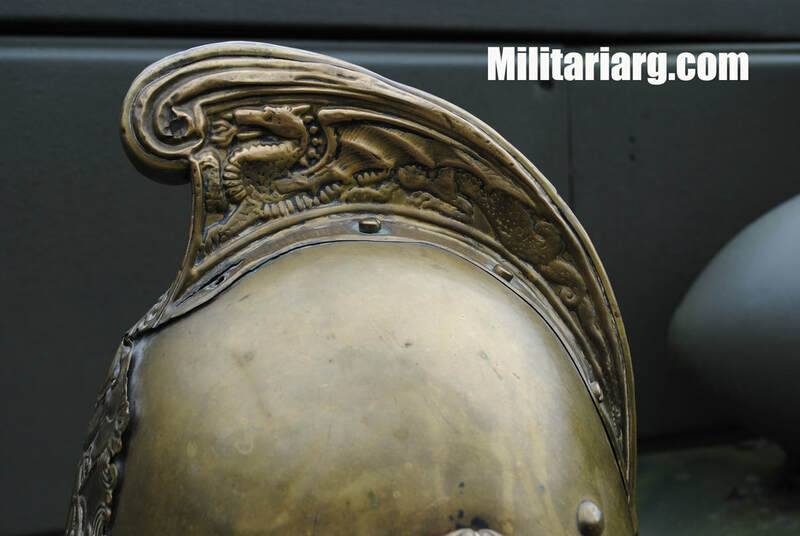 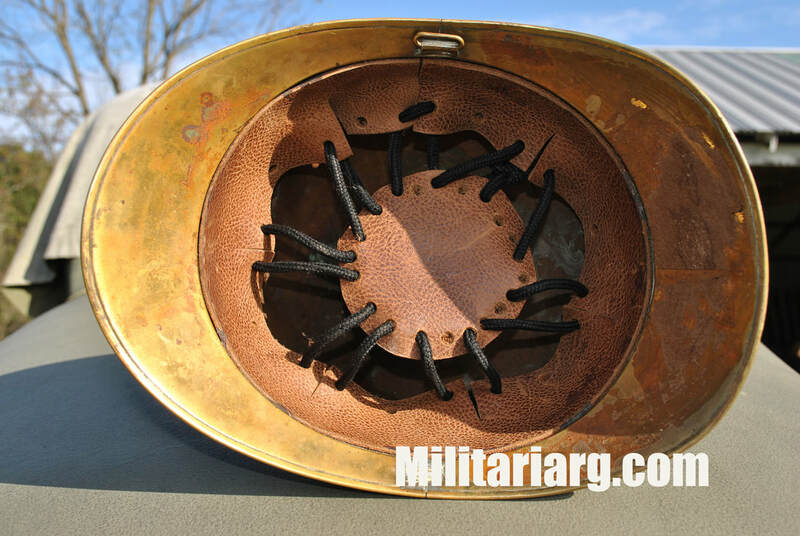 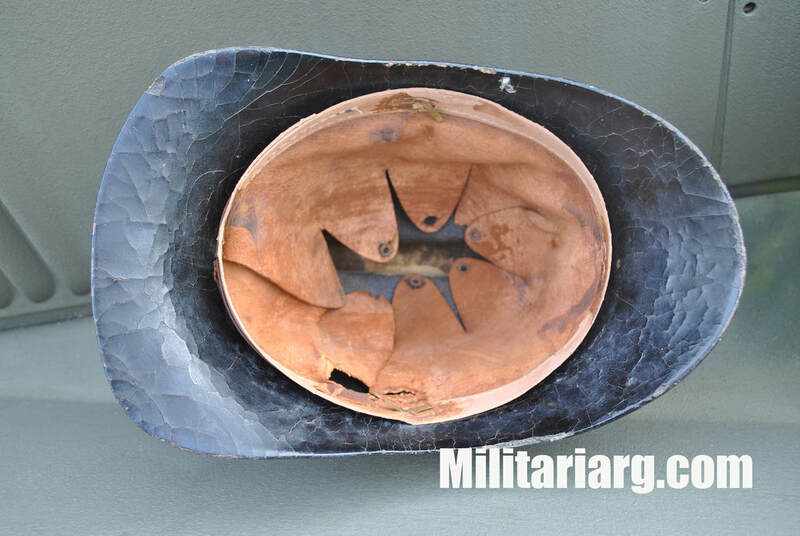 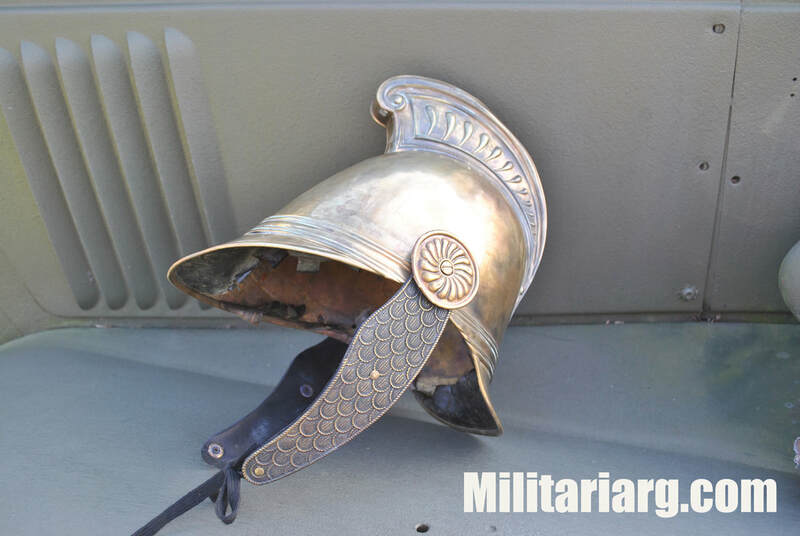 Above left image capture: ​According to the photo's website, this piece could be a French fire helmet 1830. 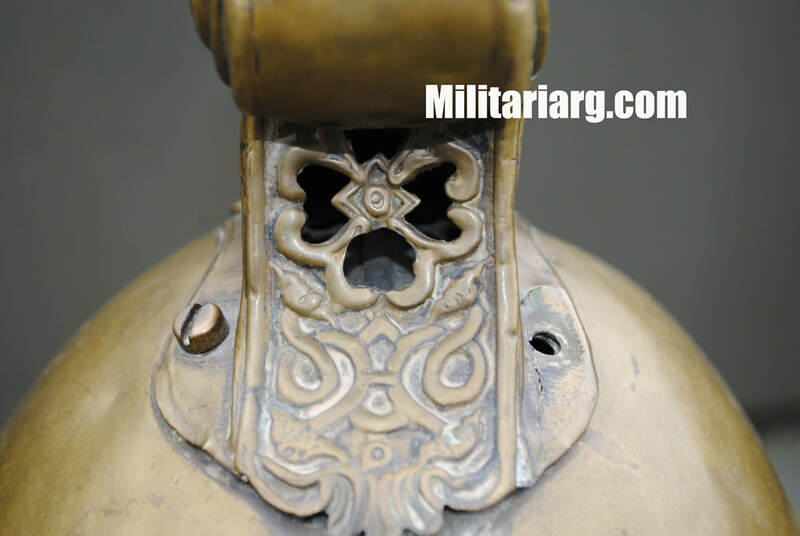 You can access the page by clicking on the image. 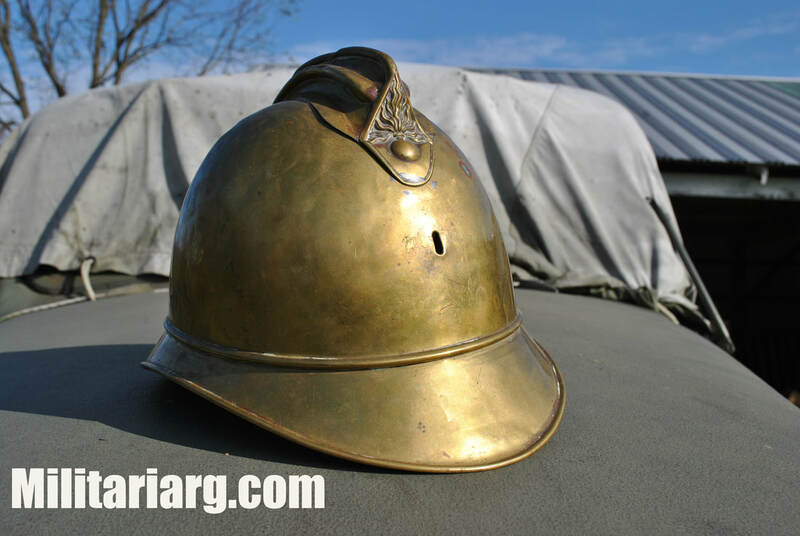 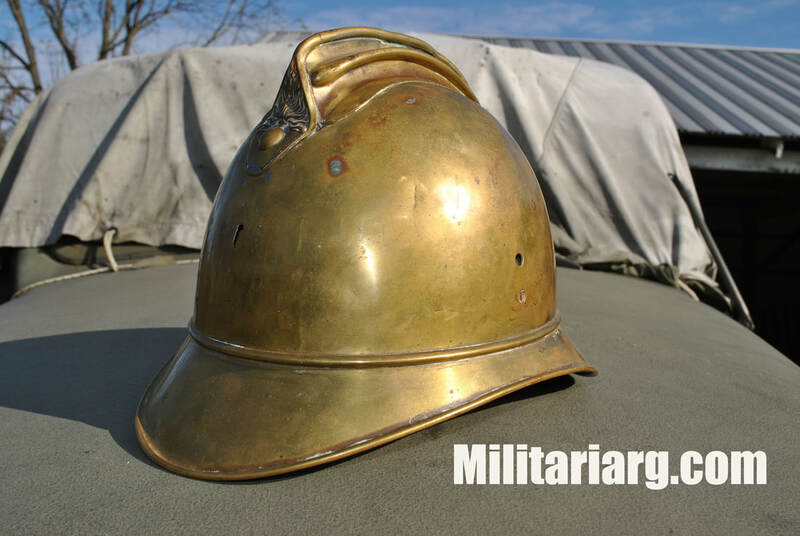 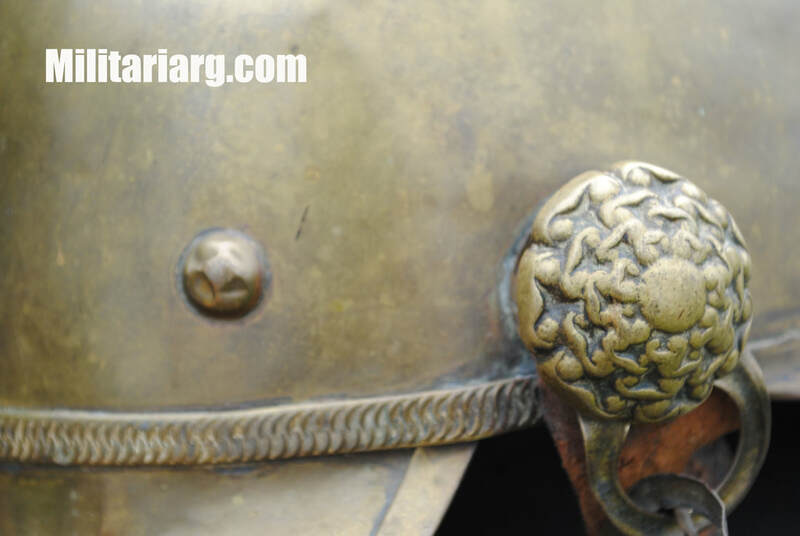 Early French Fire helmet, scales chinstrap.